It doesn’t take long after an ominous black tour bus full of bloodsucking denizens of the damned arrives in a sleepy coastal village in Northern Labrador for people to start dying and the local church to go up in flames. Unfortunately, these vicious fiends are about to find out the only thing the old timers of Hope’s End do better than drink rum is play old school, rough-and-tumble, hockey. What makes this story by Steve Vernon (Long Horn, Big Shaggy and Devil Tree) such a sheer joy is the characters. The venerable old farts of Hope’s End are curmudgeonly, hard-bitten, slightly drunk–and made of 100% heart. The protagonist, Sprague Deacon, does little more than drink with his friends and maintain the homemade hockey rink in his backyard for the local kids. When trouble comes knocking on his back door, he sees no choice but to “nock his hockey stick a half a notch back, like a gunfighter cocking a notched Colt” and bang the puck home. And the reader should just hang on and go along with the ride. Vernon sets the proper tone for a work like this, neither taking it too seriously nor letting it descend into parody. It reminded me a fair amount of Joe R. Lansdale’s “Bubba Ho-Tep“–not only for its geriatric protagonists but for playing the story straight and letting the characters enjoy in the absurdity of their situation. This eBook also includes a short-story entitled “Time Out”: a sweet, nostalgic remembrance of street hockey and a challenge to the idea that you can never go back to where you came from. This piece isn’t as much fun as the main novella, but a fine piece of writing nonetheless. 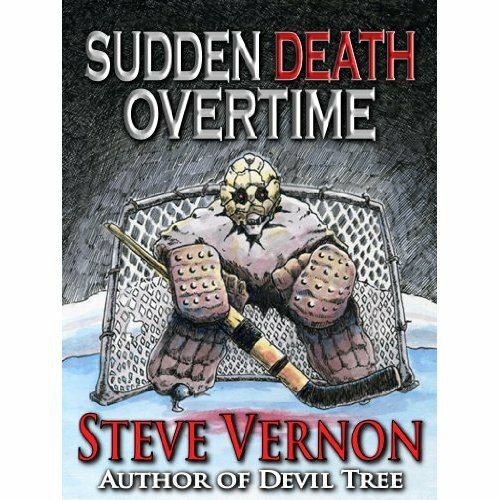 Sudden Death Overtime is a short work (only about 60 pages) that packs in as much fun as works three times its size. It is the first work in quite some time that I can honestly say was a joy to read. 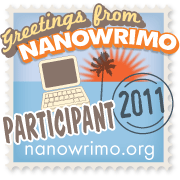 This entry was posted in Reviews and tagged fiction, hockey, horror, novella, review, steve vernon, vampires. Bookmark the permalink. An absolutely mind-blowing review of SUDDEN DEATH OVERTIME!! !